Reedman and composer Jimmy Giuffre was born in Dallas, TX. He started his musical education at age 9 learning the clarinet and within few years he was proficient enough to give solo clarinet recitals at local functions. After high school he attended North Texas State University receiving a B. A. in music. During his college years he played in local bands. Soon after graduation he enlisted in the Army and was a member of the official Army band. After discharge he became a professional arranger for several big bands including Boyd Raeburn's, Buddy Rich's, Jimmy Dorsey’s and most famously in Woody Herman’s where he also played tenor sax. During his tenure with Woody Herman’s big band he composed the classic “Four Brothers” in 1947. In the early 1950s Jimmy Giuffre moved to LA and studied for a while at UCLA and played with the bands of Shorty Rogers and Howard Rumsey. He also added baritone sax to his repertoire. He was introduced by one of his colleagues to music teacher, poet and composer Dr. Wesley La Violette. From the later he learned the concept of classical counterpoint; a linear style of composing that freed one of chord structures. 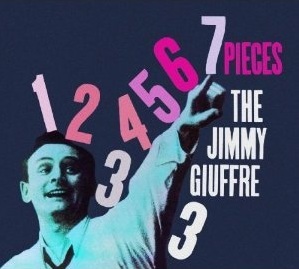 From 1954-1958, Jimmy Giuffre recorded several classic albums for Capital and Atlantic including the 1956 landmark record Clarinet. His, unusual for the time, groups were drummerless/pianoless trios initially with Jim Hall on guitar, and Ralph Pena on bass and then with Jim Hall and valve trombonist Bob Brookmeyer, creating an unusual lineup for its time. The first incarnation of the trio appeared participated on KABC Stars of Jazz tv show where he met his future wife. In the late 50s his trio changed format and he replaced the guitar with Paul Bley's piano and the valve trombone with Steve Swallow’s bass. From this trio comes the 1962 classic Free Fall. This album also marked a transition in his musical style from what he had called blues-based folk jazz to a new free jazz. His trio changed personnel again in the mid 1960s with Don Friedman at the piano and Barry Phillips on bass. Late 60s brought another innovation to Jimmy Giuffre's music: the introduction of drums with the percussionist Randy Kay. His clarinet, bass drum trio recorded a few albums of the introspective and free jazz music he had started composing. In the 1970s he moved to the east coast and taught at New York University, Rutgers, the New School of Social Research and the New England Conservatory. In order to supplement his income he also composed music for theatre, dance companies, films and TV commercials and also acted as a hand model in some of the commercials. In the 1980s Giuffre started exploring a more electric sound by adding to his clarinet and Kay’s drums electric bass and electronics. The quartet recorded a few albums for Soul Note that have gone out of print. In 1988 he recorded a series of reed duets with his student Andre Jaume called Momentum. This CD is currently available on Hat Hut. 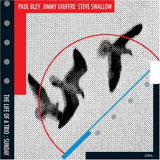 In the 1990s there was a resurgence of interest in the Free Form music that led to a reunion of the Paul Bley, Steve Swallow and Jimmy Giuffre trio and a European tour. Parkinson Disease started taking a toll on his health so in the early 2000's he retired from teaching and touring and settled in rural Massachusetts. He passed awa on April 24, 2008. All About Jazz musician pages are maintained by musicians, publicists and trusted members like you. Interested? 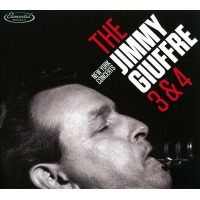 Tell us why you would like to improve the Jimmy Giuffre musician page.